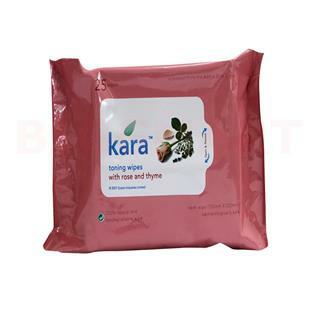 Buy online Kara Toning Wipes - Rose & Thyme 25 wipes in grocery store in pune. These wipes are enriched with thyme and rose extracts. They are specially designed for acne-prone skin. Thyme has astringent properties, which is known to treat acne prone skin. The rose is also good for treating acne prone skin. 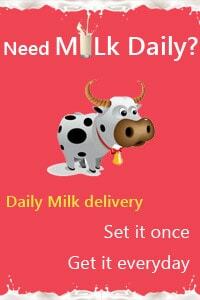 so wipe your skin to get a youthfully radiant skin. Lift seal and remove wipe. Gently wipe over eyelids, face and neck to cleanse the skin to remove makeup, oil and dirt. After use, dispose of wipe in trash (do not flush). Avoid direct contact with eyes.